Following the recent launch of his long0awaited Fear of God mixtape, Clipse rapper and breakout star Pusha T has teamed up with the Bamboozle Roadshow for a North American tour. In previous years, the Bamboozle Roadshow has pushed more of a mall punk demographic, but this year it's all rap. Along with Pusha, the lineup includes Philadelphia duo Chiddy Bang, Brooklyn hipster rap team Ninjasonikand Californian female breakout Dev. 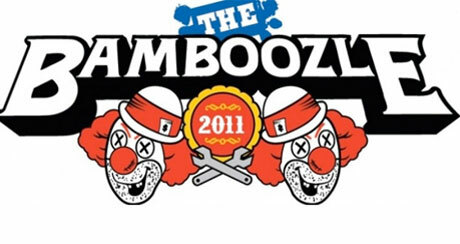 Bamboozle kicks off in Boston on May 4 and continues through the United States, eventually emerging in Canada for a Vancouver show at the Commodore on May 24. Then, on June 10 the fest has another Canadian stop at Toronto's Sound Academy. More dates are expected to be added soon. Tickets for the festival are expected to go on sale soon. Keep an eye on the Bamboozle site.